Take a second look – dream creatures may not be what they first seem! So you’ve had a dream about a wild animal, but you want to understand – why this one in particular? To understand the message of an animal, try and understand its characteristics and what it may mean to you in your culture. Does it symbolise freedom, strength, industriousness etc? But also look for what you may be missing. Remember, dreams are often trying to reveal things about ourselves we don’t like or don’t want to see, but they also offer us a solution, a way to transform these things into more desirable attributes. Creatures in your dream may not always be what they seem. Take the vulture, which you might describe as a harbinger of death, as unattractive and feeding off the fallen. 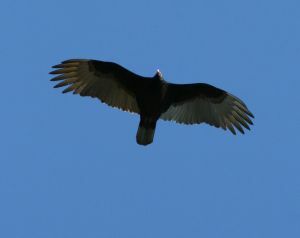 But Cherokee Indians call the vulture “peace eagle” because it does not kill, and to see the magnificence of one in flight is really a peaceful and uplifting experience. So do not be too quick to judge the animals in your dreams. They are a part of yourself, and can have good and bad qualities. How you choose to interpret and relate to the good or the bad is of course entirely up to you. Please now tell me about this dream. i saw a dream in which i saw many wild animals inside my house. while i was trying to see the tiger somewhere ouyside, it was also insidr the house hidden under other animals. i was not scared of these animals. infact very excited to see them all. what does thos dream mean? ?